Triangle Magellan Cello SW2 review | What Hi-Fi? ‘Fun' isn't a word we often use, but that's exactly what these Triangle speakers are when hooked up to similarly cheery (and capable) electronics. There is a definite Triangle sound. It's about getting the dynamics and timing of music right, even at the expense of tonal naturalness and refinement, and that's the case here. The Cello is part of the company's high-end Magellan range, so the compromises in terms of tonal purity aren't as strong as they are with Triangle's more affordable products. But, compare the Cello to similarly priced alternatives, such as ATC's SCM 50 or PMC's Fact 8s, and you'll notice the shortcomings. However, what you'll also notice is the Cellos' enthusiasm for playing music. There's a drive and excitement that makes them an engrossing listen. Feed them a diet of Shostakovich and they'll respond with agility, vivid dynamics and the ability to deliver convincing textures. They communicate the energy and emotional content of the music brilliantly. The story is much the same with demanding larger-scale pieces such as The Dark Knight OST. Here, the dual 16cm dedicated bass drivers pump out masses of controlled bass with speed and punch. Don't think these Cellos are all about classical music, either: they're equally adept with the likes of Alicia Keys and The White Stripes. It's the impressive dynamics and timing coupled to decent integration and insightful midrange that makes it possible. We can't let this review end without mentioning the Cello's punch: we've heard few similarly priced floorstanders that can hit as hard and true as these speakers. They aren't without sophistication either, and have much finesse when required. A sensitivity of 91dB/W/m means you don't necessarily need mega power to get decent volumes, but quality with good current delivery is a must. All in, we'd expect a system with the Cellos to leave little change from £20,000. The Triangle Magellan Cellos have strong character, but for the most part they serve the music brilliantly. 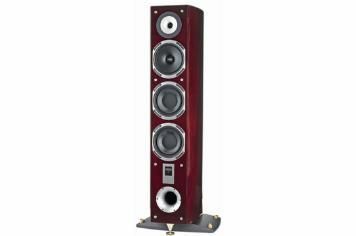 If you're into hi-fi to enjoy music rather than analyse recordings, we recommend these floorstanders highly.